An intimate wedding at The Gilpin Lake House. 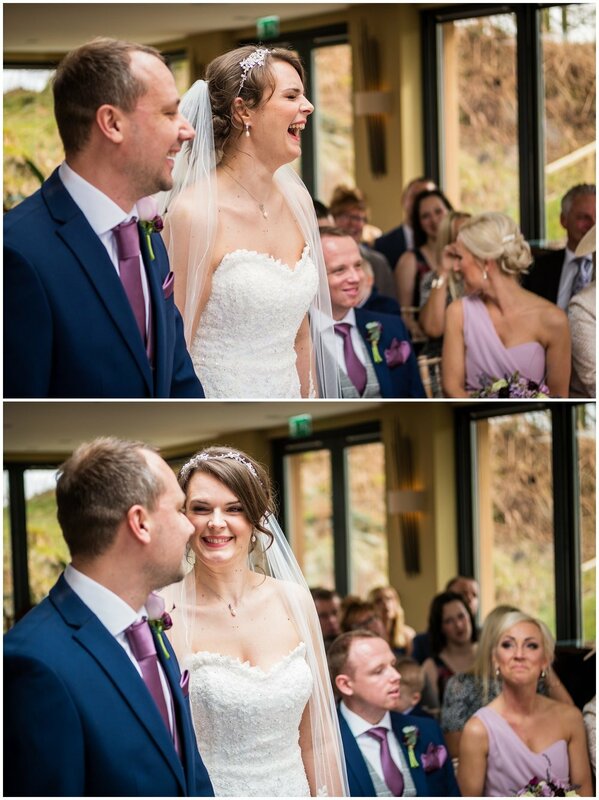 It was a pleasure to be Mel and Rob's photographer on their big day after meeting them at a wedding a few years ago. 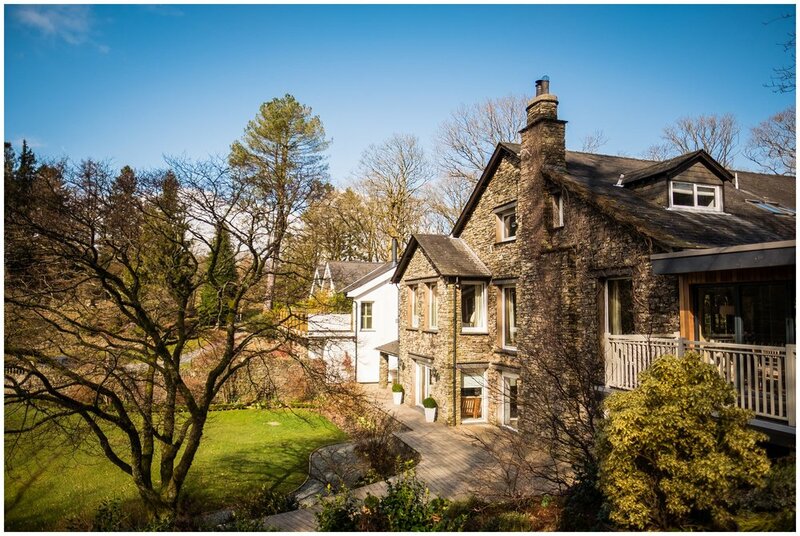 The wedding took place at The Gilpin Lake House in Windermere Cumbria. It was the first time I had worked at The Gilpin Lake House, and I couldn't wait to photograph there. Set within stunning grounds, the Lake House is a smaller venue but really is a magical place. I enjoyed recording Mel's story as preparations begun in the morning where she got ready with her Mum and bridesmaids who were all excited for the day. Everyone was laughing and in spirits and when the snow started to fall Mel go a little emotional as her parents had snow on their wedding day so it added an extra special touch to their day. My friend and fellow photographer Andy Hirst captured Rob getting ready with his groomsmen and the Dads while I was busy with the bridal party. Having a second photographer on the day can not only capture the alternative morning but will also give you a second vantage point of the day. The ceremony was also held at The Gilpin Lake House which is a fantastic location. It was the perfect setting for Mel and Rob to say their wedding vows and tie the knot looking out over the lake as the snow fell one minute and then the sun shone the next. The season seemed to change every 20 minutes making the day every interesting! Mel and Rob spent the wedding reception mingling with their guests. Drinks were served generously for guests to enjoy. 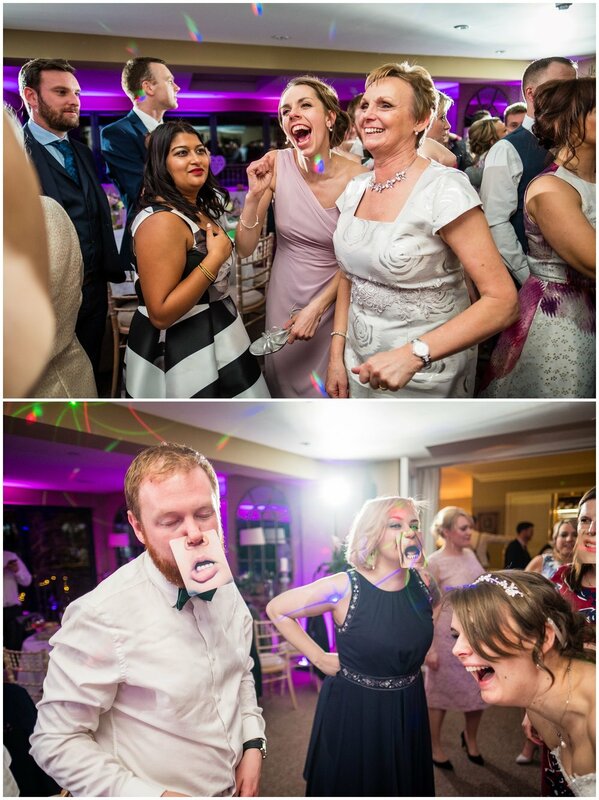 I enjoy drifting among the guests to capture the natural moments as they unfold as it really gives an idea of how the day is going and it’s nice to capture the personalities of people. Exploring the grounds and the evening reception. Before everyone was called in for the speeches I pitched Mel and Rob to go explore the grounds for some portraits. It was cold outside but they were troopers and wanted to make the most of the falling snow, stunning grounds and to enjoy a little time alone together. We captured some stunning images before heading back inside so we could all defrost. In the evening music was provided from James Lea, a talented musician who played a great mix of dance floor hits that got the party going all night. Everyone was dancing and enjoying the props making for some great evening photos! Mel and Rob really know how to create a fantastic wedding and I won't forget that one in a long time! From the crazy weather to the stunning scenery it really was a great day! If you're looking for a Lancashire wedding photographer to capture your Gilpin Lake House wedding then be sure to get in touch! Shooting there is an absolute joy and I'd love to capture your story there. Want to see more work? Check out the blogs below.